Receive maintenance notifications. Analyze how long components last. 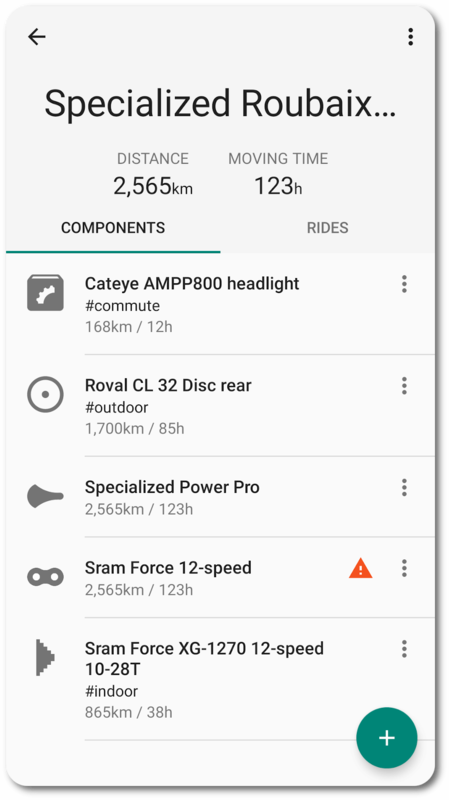 Register your component, add it to one or more bikes and it will be associated to its actual rides: distance and moving time will be updated based on total rides. Don't worry about anything else than pedaling and we'll let you know when your components require some maintenance or replacement. Define service intervals based on distance, moving time and elapsed time. 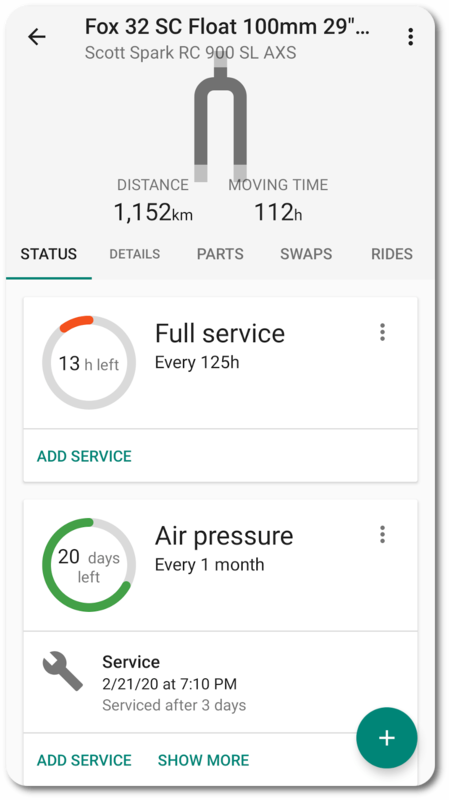 Real-time updates after your ride, so your bike is always ready for the next ride. Install components only for some kind of rides, as you do in real life: different rear tyre and cassette for indoor/outdoor, lighter tyres for a race and front light for commute. 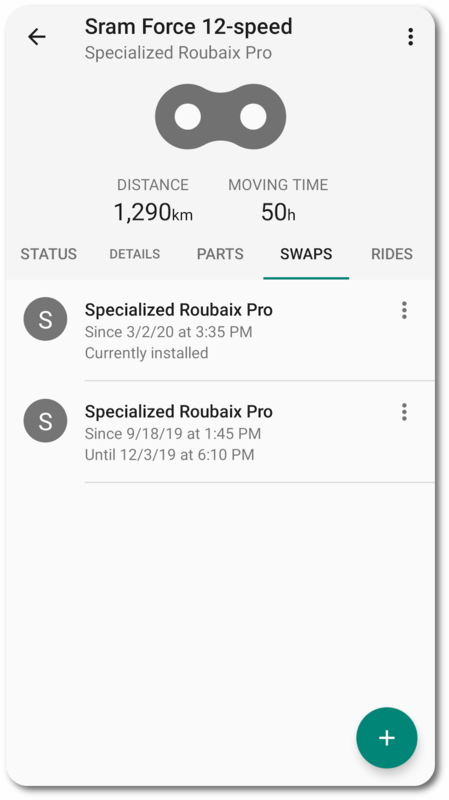 Connect with your existing Strava account and sync your bikes and rides.